I've managed to squeeze all of my favourite new clothes into today's post... which might explain why I'm grinning like a loon! it's not often I find a 'perfect' anything but this midi skirt is as close as it gets for me- as I'm a little curvy on the hips I find this style of skirt way more flattering on me (and it's denim which puts it straight into my favourites category!) 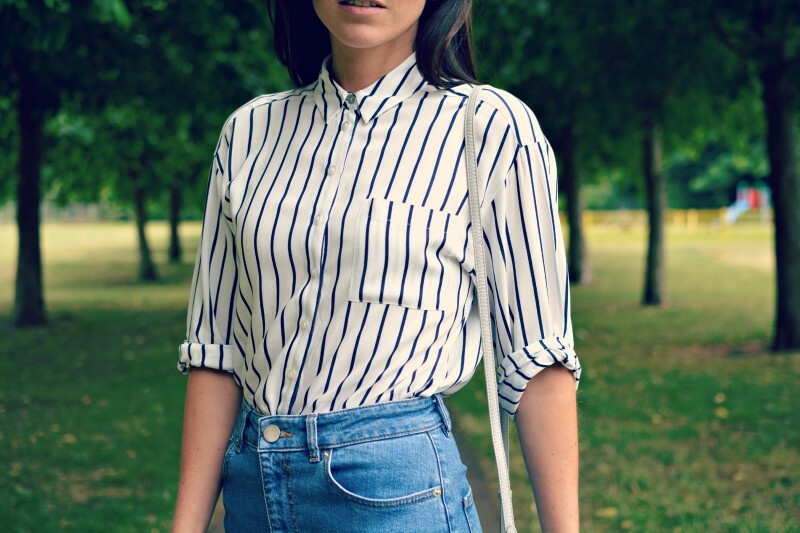 I've worn it with my new stripe shirt, again something I feel is a wardrobe staple. you can't tell here but this number is quite oversized and long so you can tie it at the waist- plus the fabric is nice and floaty which gets a big old tick from me! you might have spotted my new bag- cute huh? it's my first ever radley! 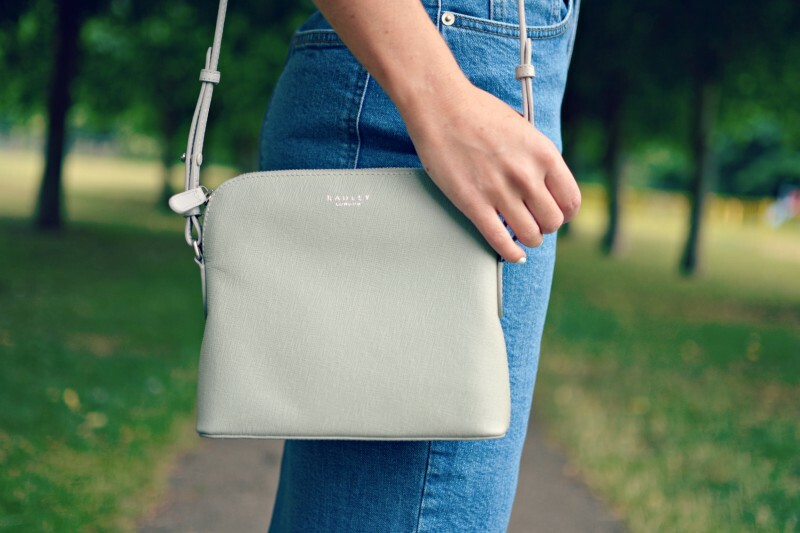 I love the clean and simple crossbody stye and it comes in some gorgeous pastel shades. there was something a little scandi about the grey which appealed to me a little more and it's even nicer in the flesh. note- due to shipping restriction this giveaway is UK and europe only! I will tweet or email the winner who will be announced on twitter to organise their delivery- good luck! Love the midi skirt on you! Love your outfit and fingers crossed for this awesome giveaway! Yes, a huge fan! I have 2 Radley Handbags and a purse! Love this outfit! I am a massive fan of Radley, they have so many cute bags! Great outfit, love how you've styled the denim skirt! yes I am a fan of Radley. Yes! I love Radley! My sister bought me a Radley bag for my 15th birthday and I've loved the brand ever since! Yes,I am a big fan of Radley,I love them! Ok so normally I'm not down with the denim skirt trend, but I have to say you're totally working it! I LOVE this look! Damn it. I started my entry but I'm not on Instagram! My favourite black handbag is a Radley. I love Radley bags, they have very clean lines and can instantly smarten your look. Yes, I am a fan of Radley! Love the look of your outfit & bag. I love good quality and Radley bags are certainly that. Yes, they are always great quality. I love Radley, I love their different shapes and colours and designs. I have a few Radley bags and I also have the purse :-) Love them! Loving that denim skirt!!! Wish I had your 'curves' - lost 7 stone, but I'm slightly curvier than you! Oh, back to the point - yes I'm a HUGE fan of Radley!